How to print the right number of pages. Why can’t I get my chart on a single page? Why do I get so many pages when I print? 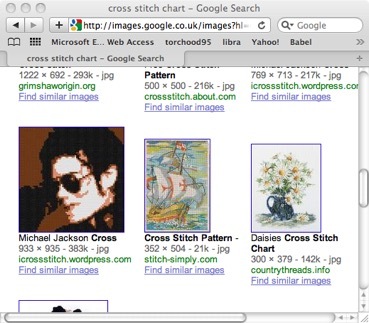 Most people’s idea of what size a cross stitch chart should be is formed from seeing charts in a magazine. In a typical magazine, the charts are a single page, and they contain around 75 x 90 stitches. That’s really quite a small design. To put it into perspective, it represents approximately 5 x 7 inches of 14hpi cloth. However, the more intricate charts you buy in the shops are much larger. These ‘shop’ charts are much larger. This is the key to getting the right size of printout. You need to balance the number of pages with the size of the symbols. Small symbols = fewer pages, but harder to read. Larger symbols = easy to read, but more paper. b) The printout does not have to be the same size as the cloth. A4 or Letter are most common. The size of the symbols is set using the option called ‘symbols / in’ in the most recent versions. Magazines typically print their symbols in a grid of 1/8 inches. On a sheet of A4 or Letter paper which is portrait, that is about 50..60 symbols across the page. Start with that size, and if the symbols are too big, use a bigger number. If too small, use fewer symbols across the page. 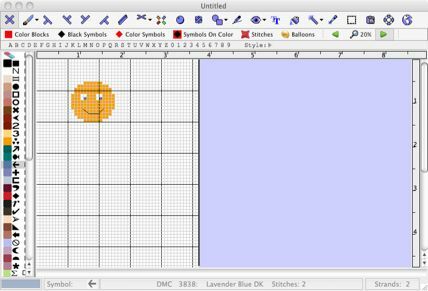 In this screenshot, we have a chart of about 200 x 200 stitches. 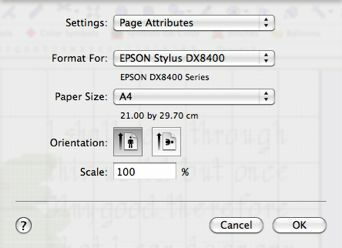 The program will calculate how many symbols we can fit down the page automatically, and will show you how many pages are needed to print. Using 60 stitches across the page, we need 6 pages of paper to print it. Using landscape mode can affect the number of pages you need: if your design is wider than it is tall, consider landscape. 2: Lots of white space? 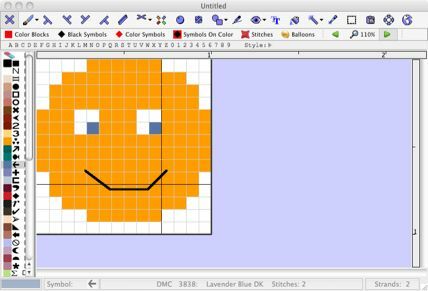 A chart can be up to 999 x 999 stitches in size. If you have a large area when you start designing, you have a large amount of unused space around the design. Usually you will not need that extra white space. You can remove it before printing by using the EDIT/Shrink to Fit menu option. But if you need a small amount of white space around the design, you can make that happen by adding a margin on the print screen.